Cloud City floats peacefully in the skies above Bespin, serving as a luxury resort and tourist hotspot for the galaxy’s aristocrats and a home for those who work mining tibanna gas. Despite its idyllic appearance, Cloud City has a reputation for working with the scum of the galaxy. After all, even the most luxurious casino can be dangerous for the naive or unprepared. 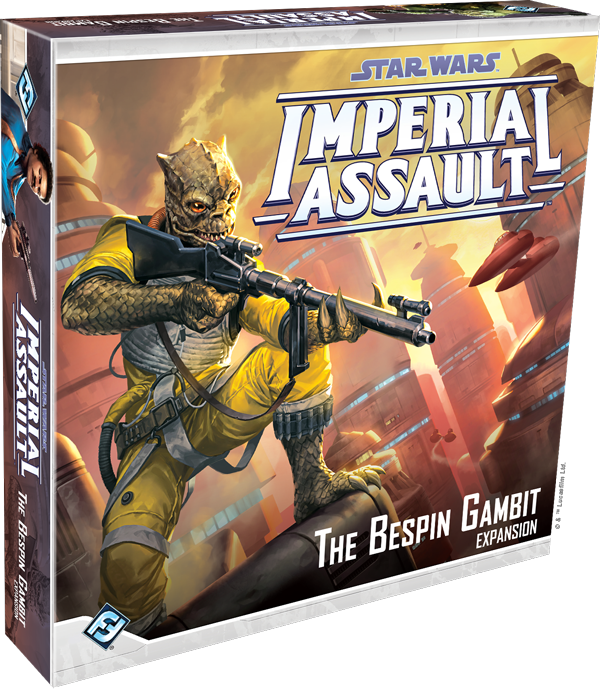 With The Bespin Gambit, you can take your Imperial Assault missions into the iconic locations of Cloud City. You may sneak through an ornate dining room or battle your foes around the deadly pit at the center of a carbon freezing chamber. While an entirely new mini-campaign challenges both Rebels and Imperials to search for a missing spy, you’ll also find plenty of content for the skirmish game with two new skirmish missions and new Command cards and skirmish upgrades. 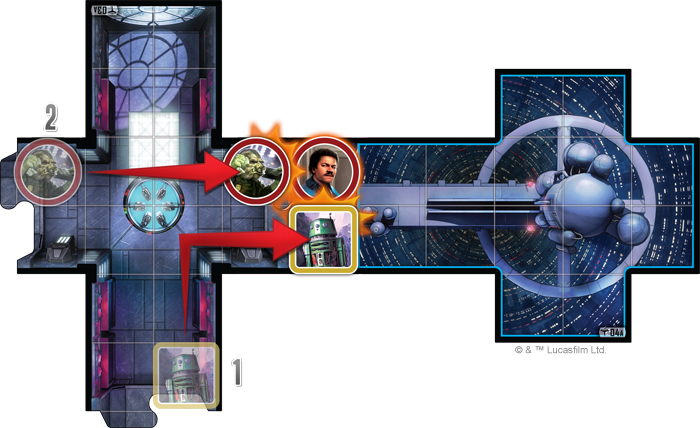 In an earlier preview, we looked at the two new Rebel heroes contained in The Bespin Gambit. 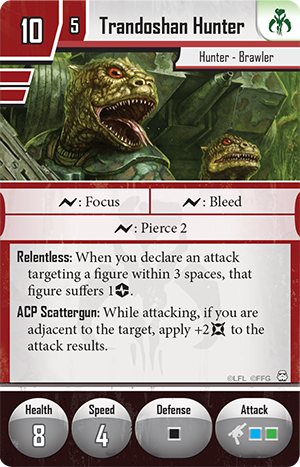 Today, we turn our attention to the figures and cards gained by the dark side players! Security in Cloud City is provided by the renowned Cloud City Wing Guard. Though these highly-trained security personnel are ostensibly charged with keeping the peace, they are no friends of the Empire or the Rebel Alliance—and they have been known to work for whoever pays the most credits. Whether you’re playing the campaign game or a head-to-head skirmish, the Wing Guard provides the Mercenaries faction with an inexpensive Trooper figure. Though these units are fragile, they can serve an important function by protecting your other figures with Keep the Peace. When an enemy attacks a space next to the Wing Guard, Keep the Peace allows you to suffer one strain to force the attacker to suffer a strain. During a campaign, forcing strain on the heroes can play a useful role. Not only does strain restrict a hero’s ability to move and act freely, it reduces the amount of damage the hero heals when he rests. In a skirmish game, on the other hand, Keep the Peace can do even more damage in conjunction with Under Duress . This new skirmish upgrade forces your opponent to discard two Command cards instead of one every time he wants to prevent a damage from strain! With this upgrade, your opponent’s deck of Command cards will be quickly depleted and you’ll be dealing extra damage, whether you’re playing the Wing Guard or a group of Trandoshan Hunters . 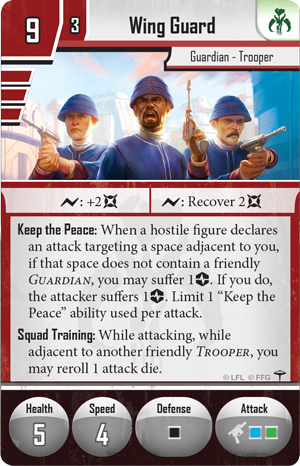 The elite Wing Guard retain the Keep the Peace ability offered by their normal counterparts, but their surge abilities improve, allowing them to deal and recover more damage. Elite Wing Guard also benefit from increased health, giving them crucial staying power in the face of concentrated fire. Finally, elite Wing Guard can take advantage of Squad Training, giving them additional rerolls and making their attacks more potent! While the Cloud City Wing Guard keep order in the higher-class, more respectable parts of the city, the lower levels are the domain of the Ugnaught Tinkerers. The Ugnaughts work tirelessly to repair and maintain Cloud City, and their mechanical prowess can serve them equally well if a brawl breaks out around them. 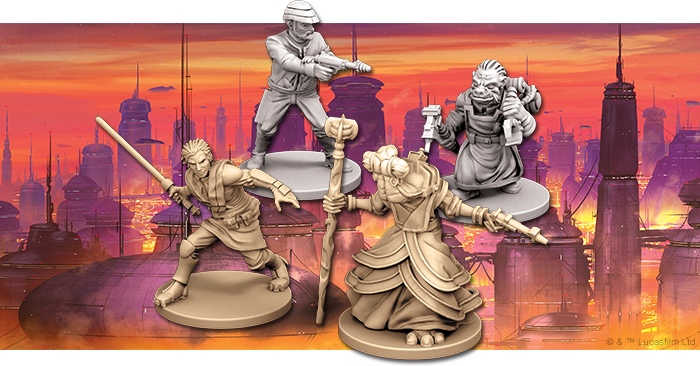 In a game of Imperial Assault, there’s only a single Ugnaught Tinkerer per figure group—but that doesn’t mean they fight alone. 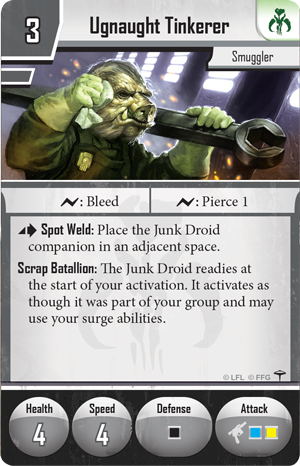 As an action, an Ugnaught Tinkerer can use Spot Weld to place a Junk Droid companion in any adjacent space! Companions are a new addition to the game in The Bespin Gambit, and they support the rest of your strike team by attacking or impeding your opponent in other ways. There are three distinct companions included in The Bespin Gambit, but the Ugnaught Tinkerer is only interested in one: the Junk Droid. Junk Droids are relatively easy to destroy, but your opponent still needs to expend an attack if he wants to be rid of the Droid. Until he does, however, the Junk Droid can prove to be quite a nuisance—it receives an automatic extra damage to any attack, and the Ugnaught Tinkerer’s Scrap Battalion ability means that the Junk Droid can use the Ugnaught’s surge abilities to pierce armor and inflict the Bleeding condition. You may also choose to invest a few extra points for the elite version of the Ugnaught Tinkerer. 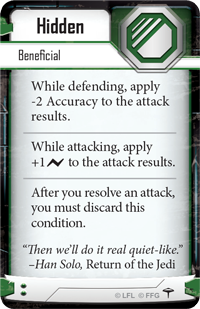 This version has the same speed and dice, but benefits from increased health, an improved Pierce ability, and the Overclock ability. 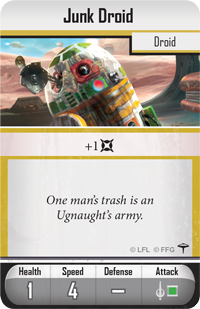 Ordinarily, the Junk Droid readies at the start of an Ugnaught’s activation and activates as though it were part of that Ugnaught’s figure group. However, with the Overclock ability, your elite Ugnaught Tinkerer allows the Junk Droid to interrupt and perform a move or attack—ensuring that you get the most out of your small companion before it’s destroyed. At the beginning of the Ugnaught Tinkerer's activation, the Junk Droid activates, moving and attacking Lando Calrissian. Next, the Ugnaught Tinkerer himself moves forward and attacks Lando! New Mercenaries figures aren’t the only tools Imperial players gain over the course of a campaign. You’ll find two new Agenda sets and an entirely new Imperial class—Imperial Black Ops. With the Evasive Maneuvers Agenda set, you can stay just a few steps ahead of the Rebels. 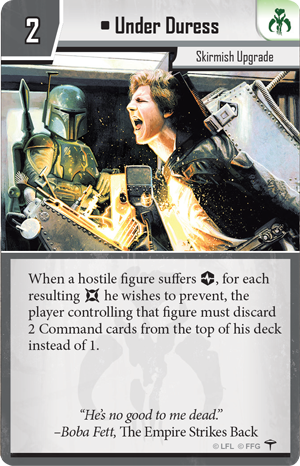 For instance, Feigned Retreat can be used if a Rebel figure comes too close to one of your figures, immediately granting your figure extra movement points. The bonus movement isn’t much, but it might be enough to keep you out of range of a melee attacker. 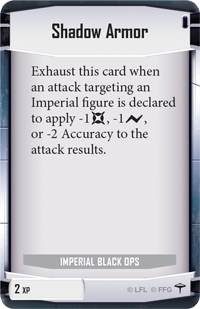 You could also use Contingency Plan when one of your Imperial figures is defending to let your figure become Hidden . 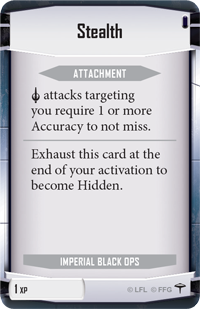 Becoming Hidden without warning may cause your opponent’s attack to miss wildly, and after the attack, your figure gains two movement points—enough to slip around the corner and out of sight. The second Agenda set, Enhanced Interrogation, gives you the ability to learn the heroes’ weaknesses. Weak Links lets you choose a hero and force that hero to suffer strain equal to the strain suffered by an adjacent hero—potentially dealing a serious amount of damage if two exhausted heroes are close to each other. Once you defeat a hero, you can also take advantage of Learn Their Weaknesses . 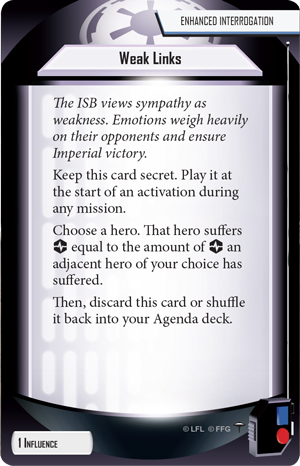 This Agenda card can only be played after a hero is defeated, and it allows you to reroll an attack die once per turn, making it easier to bring down the other heroes. The Imperial Black Ops class gives you more tools to keep your figures hidden in the shadows, waiting for the perfect opportunity to strike out against the Rebel commandos. 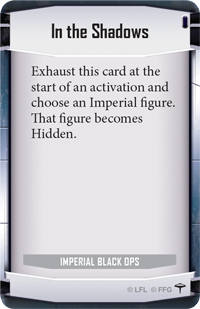 This class begins the game with In the Shadows , a card that gives a single Imperial figure the Hidden condition at the start of its activation. Becoming Hidden is only the beginning, however. Stealth attaches to one of your figure groups, and melee attacks targeting that group require at least one accuracy to not miss! Of course, many melee figures can muster a small amount of accuracy, but that becomes much more difficult when your figures are Hidden: you can exhaust Stealth to have a figure become Hidden at the end of your activation. As you advance farther into the Imperial Black Ops class, you access more and more powerful effects. Shadow Armor can be exhausted whenever an attack targets an Imperial figure, allowing you to lower damage, evade surges, or even decrease the attack’s accuracy. Or, you may transform one of your figure groups into undeniable masters of stealth warfare with True Shadow . 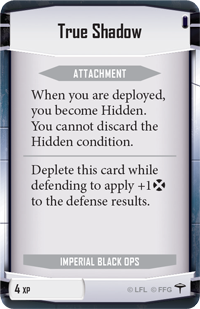 This Class card gives its group the Hidden condition as soon as they’re deployed, and it prevents them from ever losing the condition. If worst comes to worst, however, you can deplete True Shadow to gain a free dodge. Dodging all damage on demand is one of the most powerful effects you could ask for, and you can put it to good use as you work to destroy the Rebels in Cloud City. The shadow war for Cloud City will soon begin. Will you take the side of a few Rebel espionage specialists or the secret might of the Imperial Security Bureau? 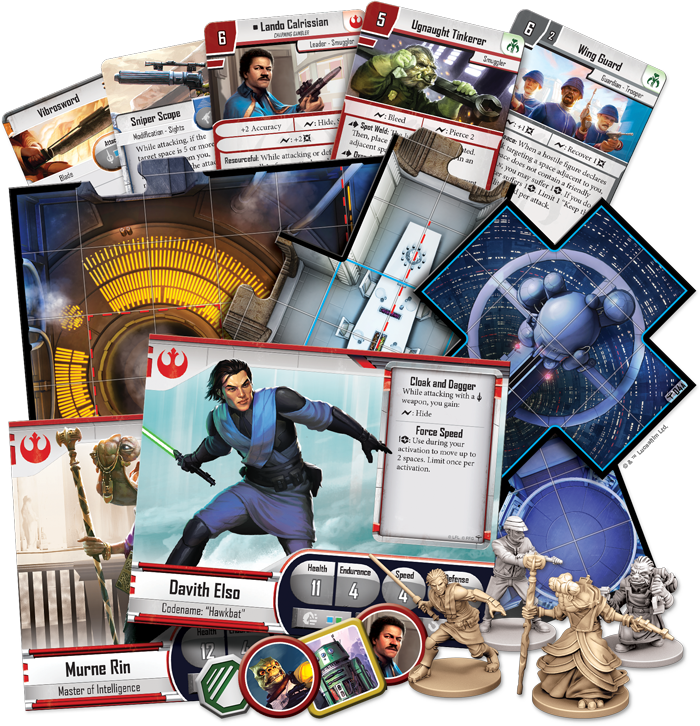 Pre-order your copy of The Bespin Gambit at your local retailer today and join us for our next preview as we look at the Agent Blaise Villain Pack!